One of my all time favourite dishes! This version is fairly “no frills” & of course budget friendly bu if you want to make any additions of your own then go for it! You will notice that the cheese sauce calls for nutmeg, it is not essential but it does make a difference to the flavour so you may want to invest in some if you don't already have any. 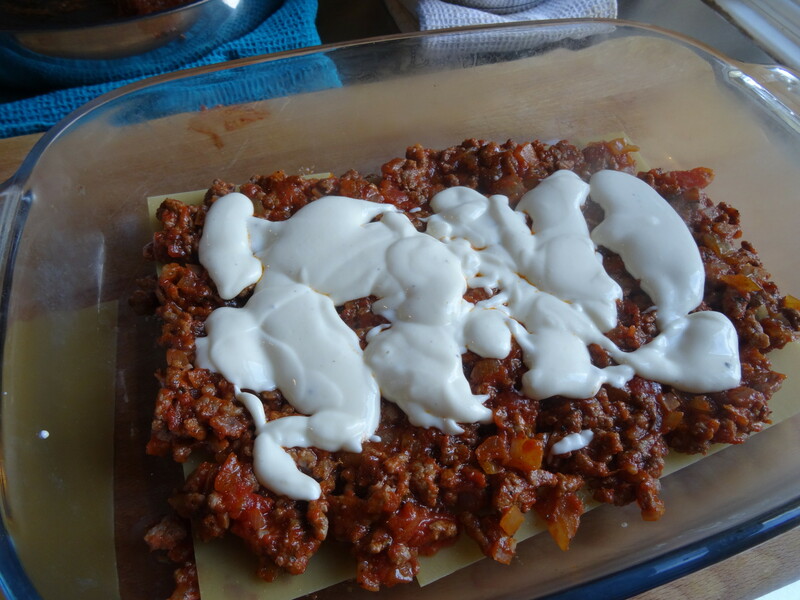 Also I have used low fat cream cheese for the sauce, not necessarily because it is healthier but mainly because it worked better than full fat! 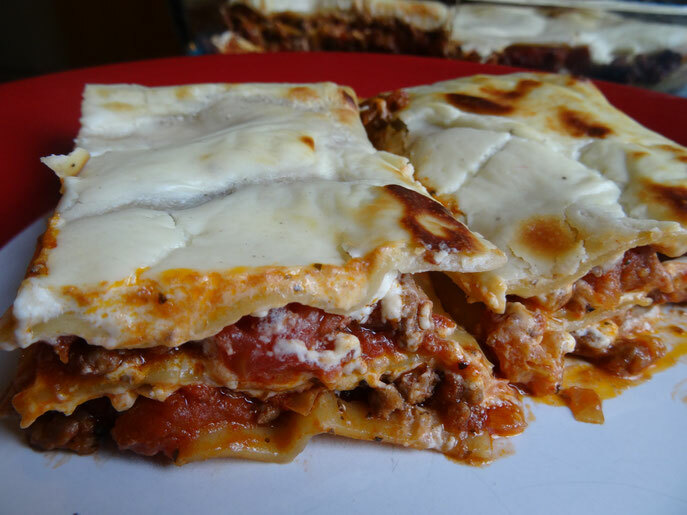 You can easily double this recipe so go as big as want/need to! 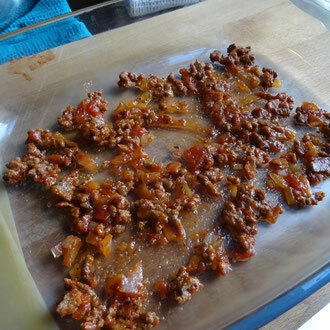 Put a large frying pan over a medium to high heat & brown the mince in batches & set aside on some kitchen paper. Add some oil to the pan & soften the onion adding the garlic & herbs after about 5 minutes. Pour in the chopped tomatoes & turn the heat down to medium. 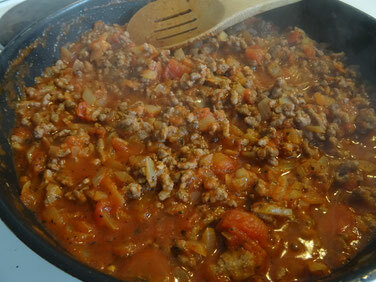 Allow to simmer for a minute then stir in the tomato puree & season with salt & pepper. 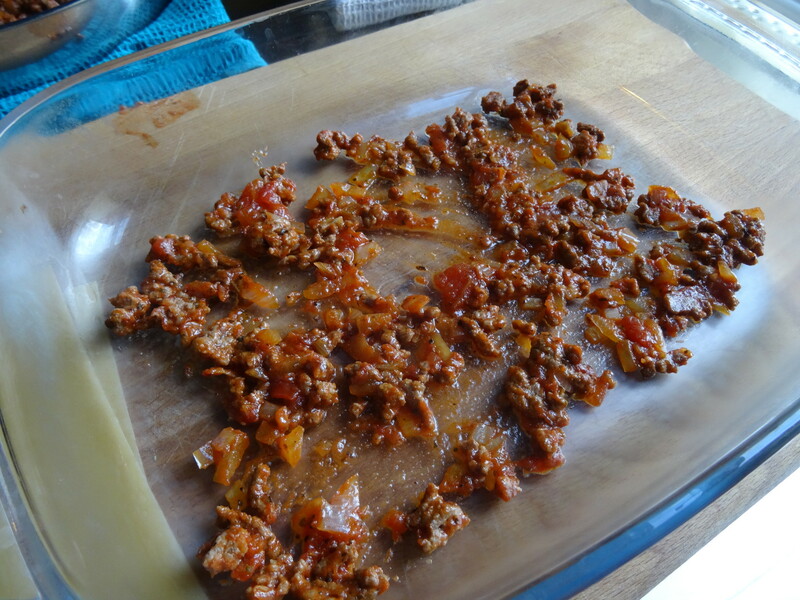 Return the mince to the pan & stir well into the sauce then crumble over the stock cube & stir again. Simmer for another 10 minutes then remove form the heat & set aside while you make the cheese sauce. 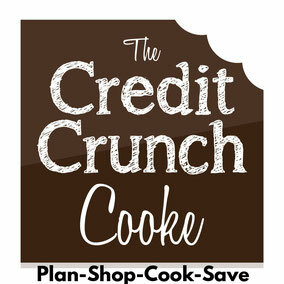 Place the cream cheese & milk into a saucepan over a low heat, you don't want it to boil. 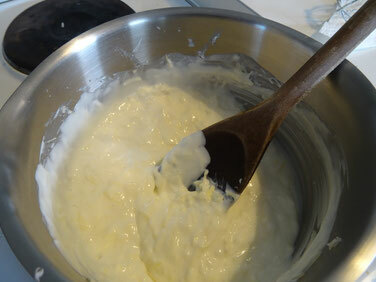 Once the cream cheese has melted add the grated cheese & stir until that has also melted & the sauce is smooth. Season with a little pepper & the nutmeg (if using). 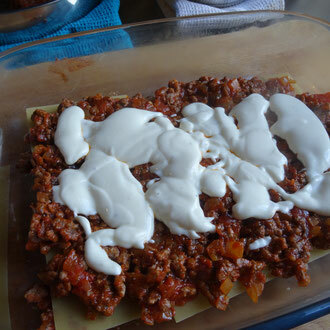 Add a little more milk if you feel the sauce is too thick. 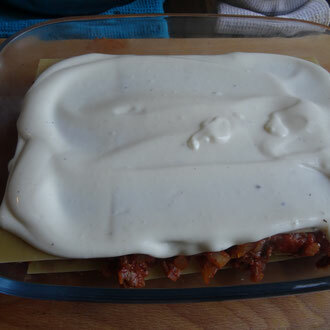 To build the lasagne take an ovenproof dish & place a small amount of the meat sauce in the bottom, this is to stop the pasta from sticking to the dish. 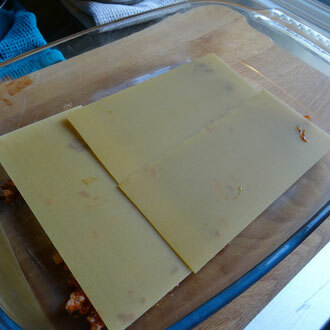 Place 3-4 pasta sheets in the bottom of the dish then cover with ½ the meat sauce. 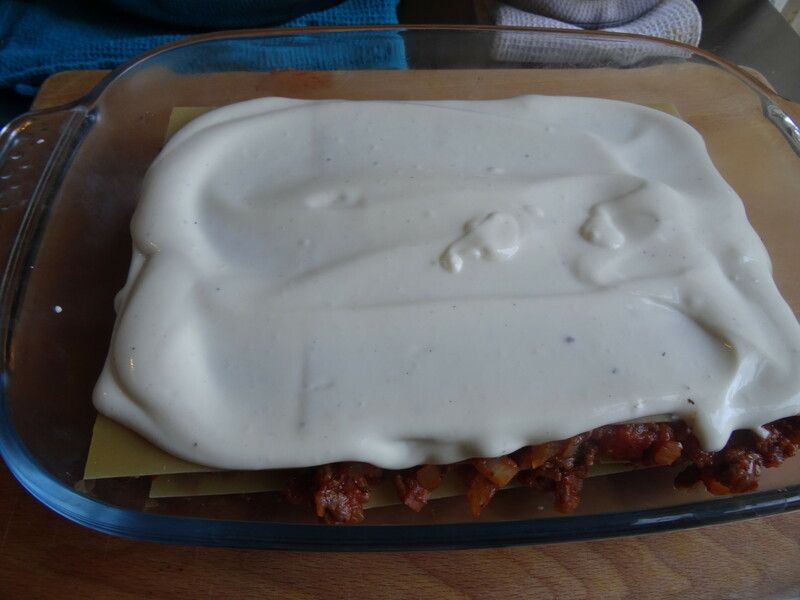 Drizzle 1/3 of the cheese sauce over the top. 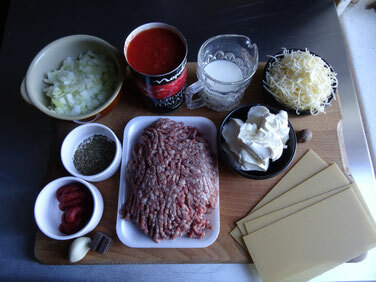 Repeat the layer, pasta, meat, cheese & finish with a layer of pasta topped with cheese sauce. 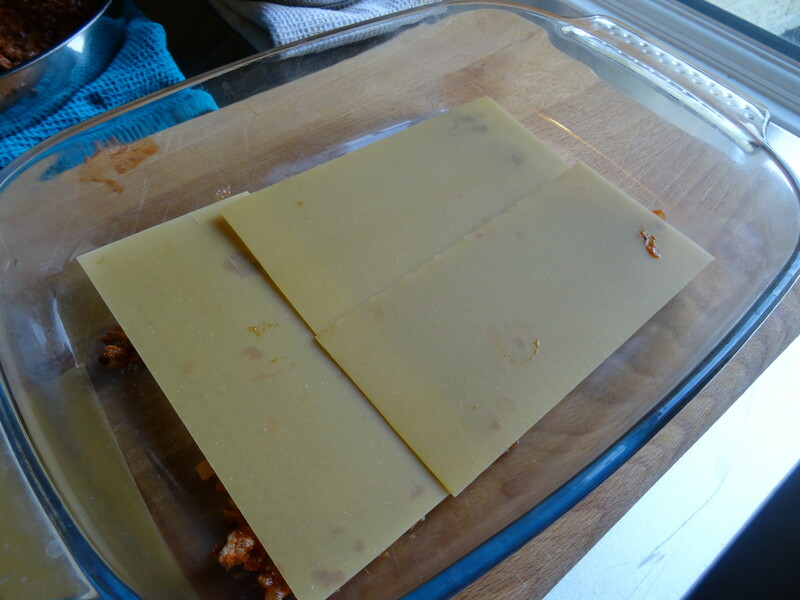 Cover the dish with foil & place in a pre-heated oven (200C/Fan180/Gas6) for 40 minutes. Serve on its own or with whatever you fancy!